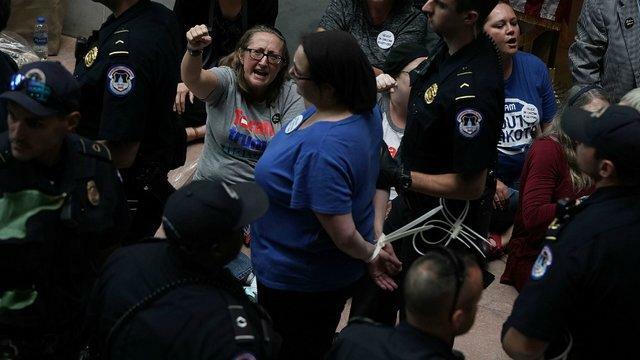 At least 100 protesters were arrested on Thursday afternoon after a mob descended on the Hart Senate Office building to protest the confirmation process of Supreme Court nominee Brett Kavanaugh. Loud chants could be heard throughout the Senate building, which is structured so the hallways of each floor open up and look out onto the first floor, where dozens of protesters were staged. 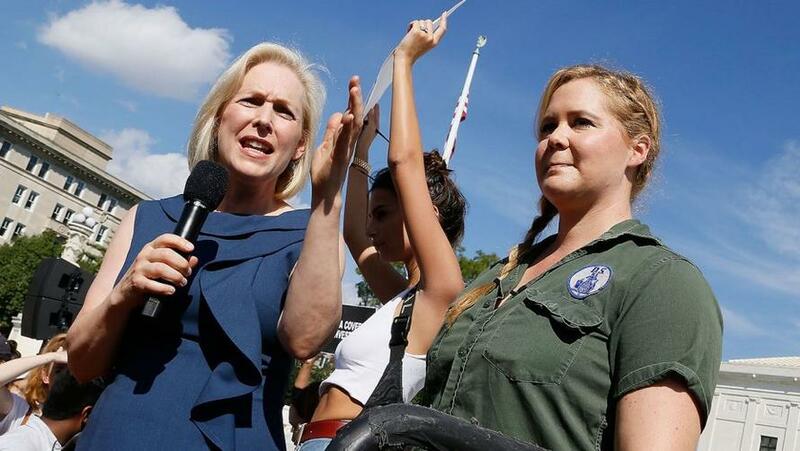 Among those arrested was comedian and Chuck Schumer relative, Amy Schumer. Amy Schumer at the Hart Senate building. Cop: "Do you want to be arrested?" Model Emily Ratajowski says she was also arrested. 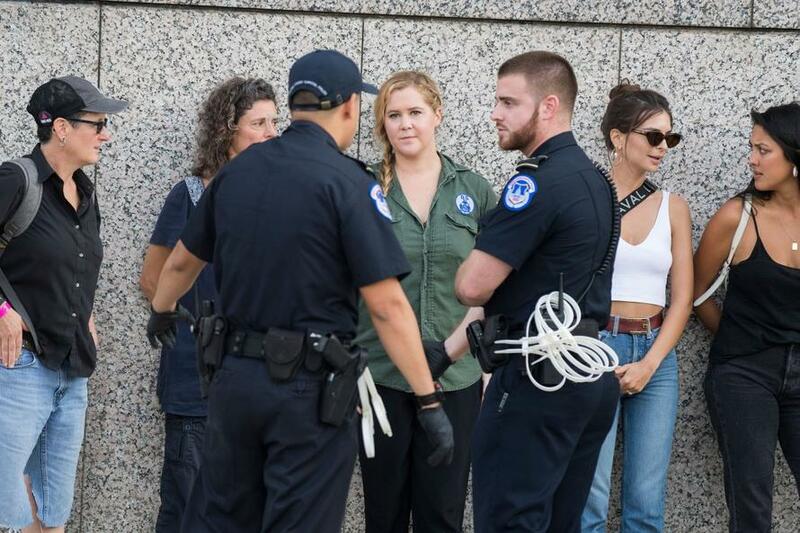 "Today I was arrested protesting the Supreme Court nomination of Brett Kavanaugh, a man who has been accused by multiple women of sexual assault. Men who hurt women can no longer be placed in positions of power," she tweeted. 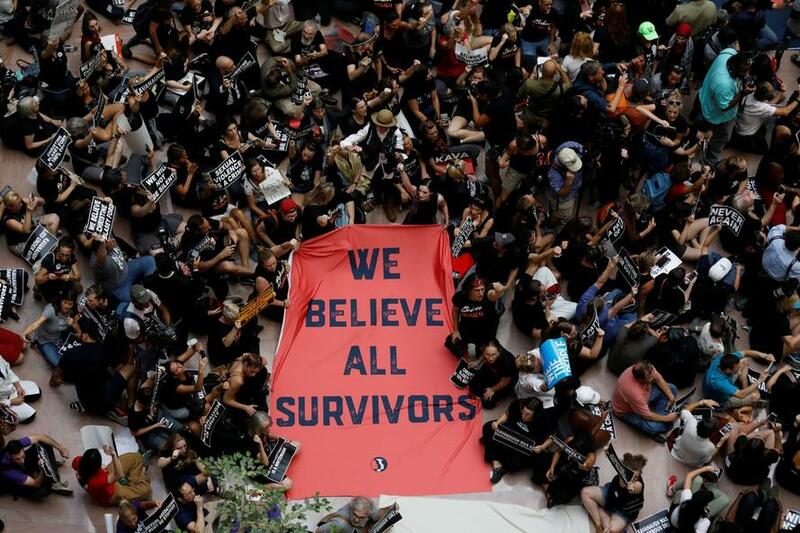 Prepare for weeks of protests after Kavanaugh's likely confirmation to the Supreme Court.